Burgundy feels like the perfect hue for this time of year, think mulled wine. Throw in some grey, blue denim and presto! a colour combo that’s fashionable. 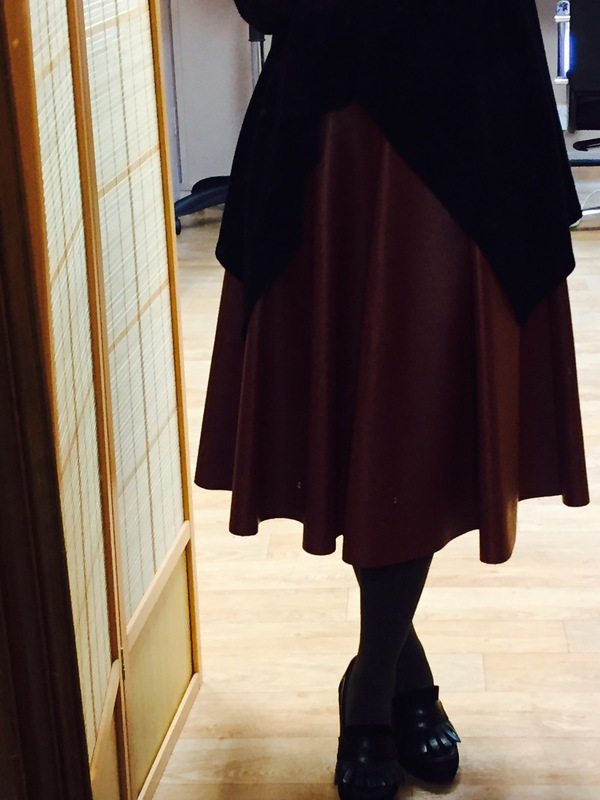 Top of the list of ways to tap into the trend is by teaming this dark red leather skirt with a chunky charcoal knit.